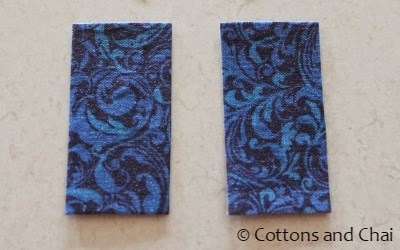 Are you one of those people like me who save up even the littlest of fabric bits in the firm hope that they surely will come to some use some day? 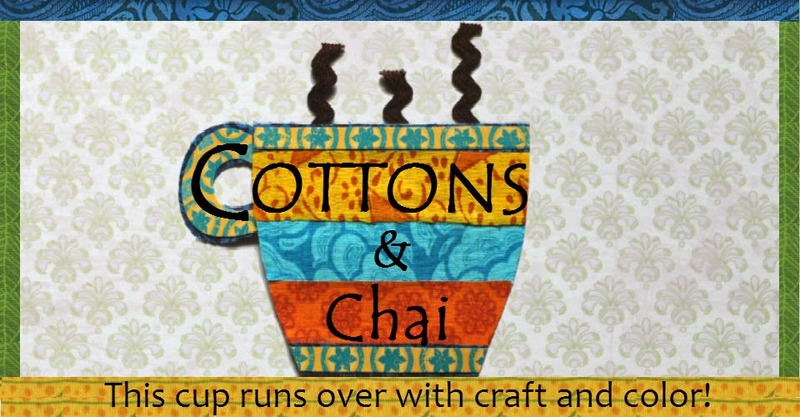 If you are or if you aren't, I'm certain you'll find this fabric and Mod Podge craft is easy, efficient and makes a great holiday gift! 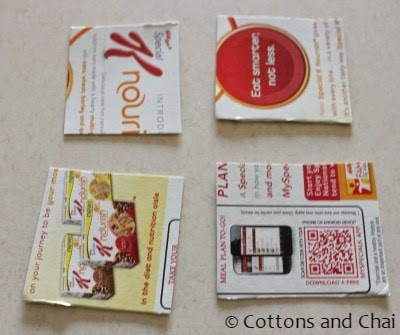 Start by cutting up the cereal box in little squares/ rectangles roughly 3" * 3"
Cut bits of fabric to fit within the cereal box piece. 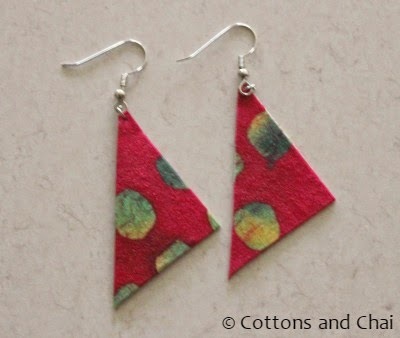 You will need 2 pieces of fabric each for making a pair of earrings. 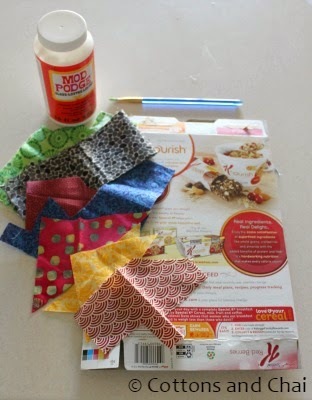 Start by applying some Mod Podge to the cereal box surface on one side. Place the fabric piece over it and apply Mod Podge liberally over it. Create brush strokes from the center going outward to prevent wrinkling. 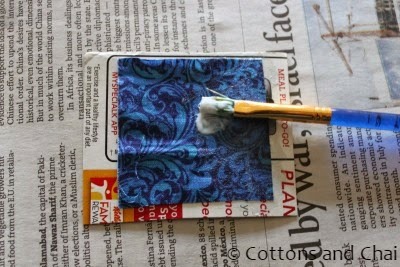 Take the other piece of fabric, flip the cereal box square over and proceed to apply Mod Podge in the same way. 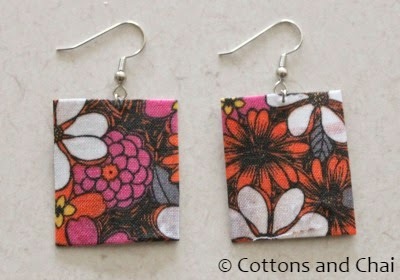 Make sure that the fabric is aligned on both sides of the cereal box so that the earrings can be cut within that space. It helps to hold the card between your fingers and thumb to avoid contact with Mod Podge area on either side. 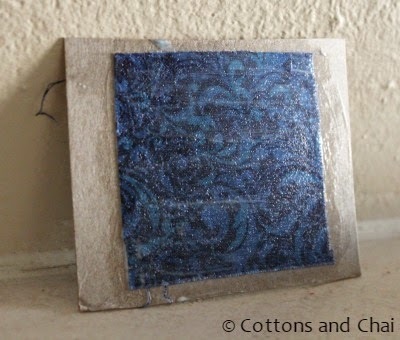 Then prop the card up against a wall so that both sides can dry. Here I've gone ahead and similarly Mod Podged a variety of fabric pieces. 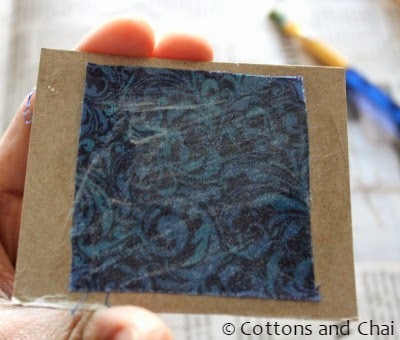 Once the Mod Podge is completely dry (5 to 6 hours/ overnight), the fabric adheres nicely to the card and is quite stiff. Next simply cut the card into desired shapes - and there! You have your earring base. Flip over both shapes to check that the fabric covers it well. Here I've cut 2 identical rectangles. Next, take a largish hand sewing needle and make a hole top center for the jump ring to go through and attach the fish hooks. Ta-da! Easy breezy (coz they're really lightweight!) 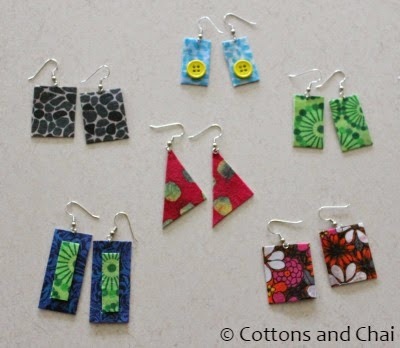 earrings ready to adorn! You can jazz them up a bit (or a lot) simply by adding on more Mod Podged fabric highlights or other embellishments using a glue gun like so. The possibilities really are limitless! 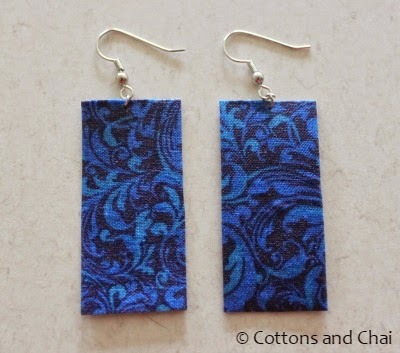 But if you choose fabric with interesting prints, the earrings look unique and eye-catching without any add-ons at all. Another way to change it up a bit might be to cut slightly off-beat shapes. 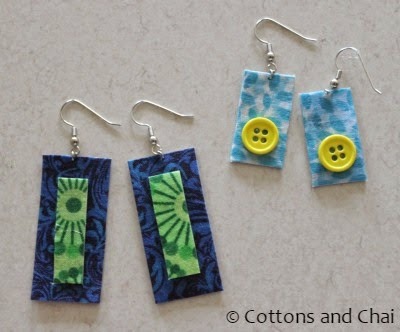 So this was our Mod Podge fabric earrings edition. Stay tuned for more holiday gifts!